Evander “The Real Deal” Holyfield is one of the legends of boxing, having been in some of the greatest fights and biggest match ups in the sports history. In a career that spanned over 25 years, Holyfield won the heavyweight title four times and had wins over greats such as George Foreman, Larry Holmes, Mike Tyson and Riddick Bowe. Holyfield had a career record of 44-10-2 (29KOs) and was elected to the Boxing Hall of Fame in 2017. 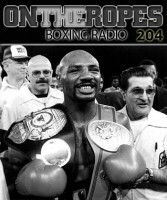 In part 1 of this “On The Ropes” boxing radio classics interview with Evander Holyfield, I discuss with him some of the biggest moments of his legendary career. 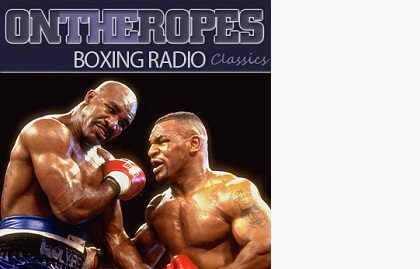 Holyfield shares his thoughts on the Mike Tyson vs. Buster Douglas upset the set up his title win and talks about defending his title against George Foreman. Evander also speaks on his two fights with Riddick Bowe and why he was able to win the rematch. Additionally, Holyfield talks about his upset win over “Iron” Mike Tyson. Here is what Evander Holyfield had to say. 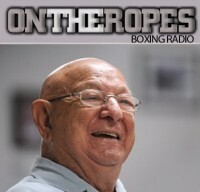 Jenna J: Evander, we are coming off of a decade where Floyd Mayweather and Manny Pacquiao were the top stars in the sport, what did you think of this era where the smaller fighters were the biggest stars? Evander Holyfield: I don’t think it’s that much different than when Sugar Ray Leonard was hot, when Tommy Hearns was hot, and Roberto Duran. You always had these smaller fighters who were very gifted and very polished. In the years when the heavyweights aren’t doing really well, these little guys rise to the top and I just think it’s one of those eras where these smaller guys are putting on better performances and the big guys are not fighting the best fighters. 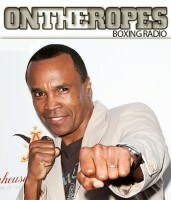 At that time it was Sugar Ray Leonard, and Tommy Hearns, and Marvin Hagler. So many people will jump in and take that spot if you don’t show you have the skills that are necessary to be in their position. Jenna J: Lets talk a little bit about your career and some highlights from it. I’d actually like to start with a fight that changed heavyweight picture in 1990, that being Mike Tyson vs. Buster Douglas. You were set to face Tyson if he beat Douglas, but instead, you were ringside for one of the biggest upsets in history, what did you think of that fight? Evander Holyfield: That fight kind of reminded me when you take people for granted. Buster Douglas was a very good fighter. He was fighting a guy who was bigger than him with a longer reach who usually knocked people down with good jabs. So everything that people just allowed him to believe, this just wasn’t a match and I just remember people talking about how many seconds it was going to last, and unfortunately this guy came to fight that night. Douglas was very skillful and he was hitting Tyson with the jab, and combinations, and he was able to win. So with me, it didn’t bother me because I didn’t lose my opportunity. My goal was always to be the heavyweight champion of the world, it wasn’t built on beating Mike Tyson. If I fought Mike Tyson it’s one thing, but if I didn’t have to fight him, my goal was to become heavyweight champion of the world. Jenna J: Well you did become heavyweight champion of the world after you knocked out Buster Douglas in three rounds, and in your first title defense you fought the ageless wonder, George Foreman. Many people expected you to take him right out, but the fight was more difficult for you than people expected. Could you tell us a little bit about your fight with “Big” George Foreman? Evander Holyfield: The fight with George Foreman was quite different because they were calling it ‘The Battle of the Age’ and it was kind of a shock because I remember everyone was saying — and I agreed – that he was old. I really didn’t want to fight him because he was old and because I realized that when I beat him they were going to say, ‘You beat an old man and you ought to be ashamed of yourself’. I didn’t want to take that fight, but I heard everything that George said at the press conference because he was very good at expressing himself, and he was saying he wasn’t too old to have a dream and it’s sad that if more people his age had to stand up and show that they are ready to take on the challenge. He rallied everybody that was 40 and older and all of these people were still with him and he fought a very competitive fight. I still won, but he won the people’s hearts, and from that point on George is pretty much where he’s at because of things that he’d done. It was amazing. I fought a very good fight. I hit him with unanswered punches a lot of times, but he was able to take it and he showed he stood for what a lot of people probably wouldn’t have done. 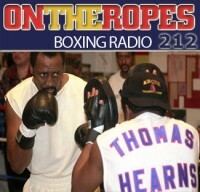 Jenna J: After a few more defenses, you had a war with Riddick Bowe in which you showed a lot of heart, but lost. Can you talk about a little about that fight and about what you had to do to beat him in the rematch? Evander Holyfield: For one thing, it was great in the sense that Riddick Bowe and me were friends and Riddick used to tell me that a good big man is better than good small man. He used to say that to me a lot. He was my sparring partner at one point in time. When I fought him in that fight he won the fight, hands down. He was the better fighter that night. I wanted to prove that fighting doesn’t have anything to do with size, it has something to do with the knowledge. In the second fight I was able to out-think him and I was able to do the things and stick to the game plan that Emanuel Steward gave me for that fight and I was able to get it back and it was one of my biggest proudest moments. If you minimize your mistakes then you’re chances of winning are always at their greatest, and I was able to do that. Jenna J: When you look back at signature fights in your career, one near the top is your long-awaited fight with Mike Tyson. You were scheduled to fight in 1991, but it did not happen until 1996 and at that point most people gave you no chance to win. What was it like to be in that fight? Evander Holyfield: With Tyson, we had known each other since back in the amateurs. He was the best at heavyweight and I was the best at light-heavy and I knew eventually we would fight. Even in the beginning, the respect that I had for him, I watched each and every one of his professional fights. I knew that this guy was the guy that I was going to have to beat because he was just that good. I truly thought he was a lot better than people gave him credit for because people said he was just a brawler, but he fought the perfect fight for his style and his build. He had shorter arms, but he was short. If you have short arms you have to fight aggressive. You have to fight that type of fight to win and he was able to do that, but because I did my homework, I watched him, looking for where he’d be vulnerable and which area he’d be vulnerable in. Tyson used to fight very hard but once the reputation started beating the people before they got in the ring, he didn’t have to fight that hard. I realized that when he fought me that I was going to be able to take those shots and could he fight hard like he used to fight hard like that? Life is not about what you’ve done, it’s about what you’ve done today, and he didn’t have a lot of fights that made him have to be in great shape like that. When he fought me, we fought each and every round pretty hard. I won of course on a condition standpoint. 4 Responses to "Evander Holyfield: “When Tyson fought me, we fought each and every round pretty hard. 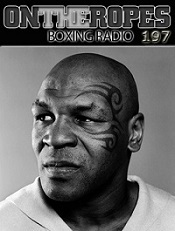 I won of course on a condition standpoint.”"
Mike Tyson has such a beast at such a young age. The Tyson that came out of jail was still good, but he was not the same animal. Once tyson lost, he no longer felt he was unbeatable. ONE OF MY FAV FIGHTERS OF ALL TIME WAS HOLYFIELD, CA– USE HE HAD THE BIGGEST HEART. HE ACTUALLY SHOULD HAVE WON THE TITLE AT 46 AND WAS ROBBED!. Holyfield was a special fighter, who fought above his best weight which was 190 at Cruiserweight. He dared to be great and was and the fight with Mike Tyson was the shining moment. The heavyweights of the 90’s was the highlight for me as a boxing fan. The great heavys we had and the way they ruled was so fun. You had Holyfield, Bowe, Lewis, Tyson, Foreman, Moorer and so many other guys that were fun to watch.